If you are the owner of a business operating in multiple geographic locations, it can be difficult to optimize your website to cater to varying demographics in each area. This can be a particularly daunting task if you are not using the proper techniques to direct web traffic to your business’s site regardless of the branch location. Let’s take a look at why local SEO matters, and what you can do to optimize your website for maximum search engine exposure in all your markets. Local SEO– Does it Matter? You betcha it does! Because Google and other search engines factor in location data when displaying search results, it is important that your website is optimized to generate hits in every region where your company has a location. Consider also the rising consumer trend towards supporting local business over large national or international corporations; a business who can gain traction and popularity in each of its distinct markets is on the road to success. More to the point, since consumers tend to include their city or town in the search terms when looking for a business, it is in your best interest to include location-specific keywords and state or city-specific pages within your company’s website to maximize local search visibility in all markets. As mentioned above, creating a separate page on your website for each location is a good way to optimize your website for local search, and maximize the number of hits on your website. Consumers including their location in their search terms will be taken automatically to the page for the branch in their city or town without having to wade through a bunch of information on your home page first. Also, you can include keywords that are specific to that particular location, such as the name of a mall or shopping center where it is situated, client testimonials from locals in the area, or possibly deals or specials that are indigenous only to that branch. This gives your company’s website a more personalized feel and lets consumers know you have a presence in their community. One last tip to enhance your local SEO in each location where you operate: microformatting. Use a tool like Schema.org or microdatagenerator.com to create code that can be embedded into your location pages. Microformatting can use data as simple as the physical address of your business’s branch to add keywords, ads and content that are specific to the area, personalizing it for consumers in that market. Enhancing your local web presence in each of your business’s location cities can increase web traffic and direct consumers to your website. 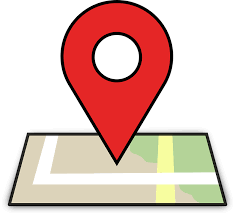 Looking into local SEO in multiple locations today may help your business succeed tomorrow! Contact the Local SEO Experts at Local Search Titan for more tips on how to increase your website’s presence in local searches!